I love it when this one comes around! 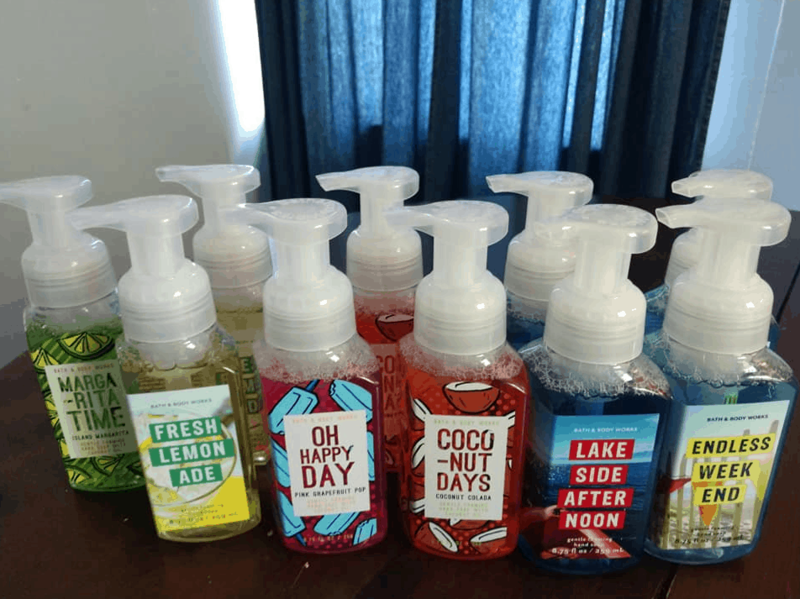 Right now you can get Bath & Body Works Hand Soaps for just $3 each when you buy 6 or more! This is a great deal since these are regularly priced $6.50 and there is a ton of variety of scents to choose from! Pay just $2.99 each (+ tax) ~ shipped! 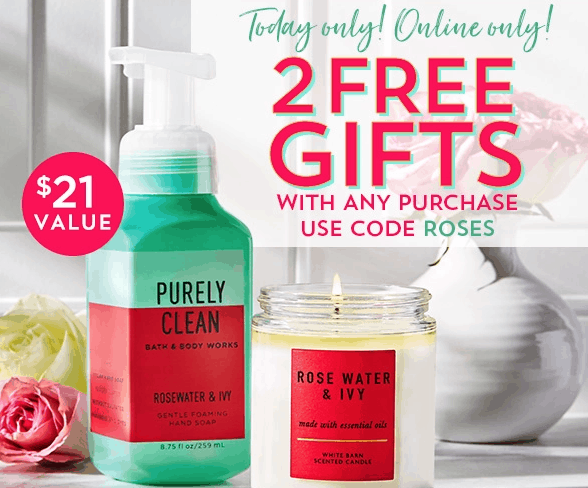 Find more Bath & Body Works deals! Through 3/31, score a free full-priced Bath & Body Works item (up to $14 value) with any $10 online purchase! To get this offer online, use the code SPRINGISHERE at checkout. Pay $40.50 for everything ($5.78 each), Shipped! Pay $41.50 for everything, Shipped! Pay $42 for everything, Shipped! Makes it $40.50 Shipped for all of the above! February 20, 2019 by Laurie 6 Comments This post may contain affiliate links, which means if you click on a link and purchase something, I may earn a small commission (at no additional cost to you.) See my disclosure policy HERE. I love it when this one comes around! Through 2/21 you can get hands soaps on sale 6 for $18, making them as low as $2.99 each with the 20% off code TTYSPR at checkout from Bath & Body Works! (Or $2.40 in-store with email coupon). Love the variety of scents! January 3, 2019 by Laurie 23 Comments This post may contain affiliate links, which means if you click on a link and purchase something, I may earn a small commission (at no additional cost to you.) See my disclosure policy HERE. The Bath & Body Works Semi Annual Sale is in full force right now~ here are a few of the best deals I see! **Plus use $10 off $40 Coupon Code TNFTYJS to save even more! I just love it when my house smells good…. which means I'm tempted every time I walk by Bath & Body Works in the mall. But I *usually* can resist buying until there's a really good sale going on. 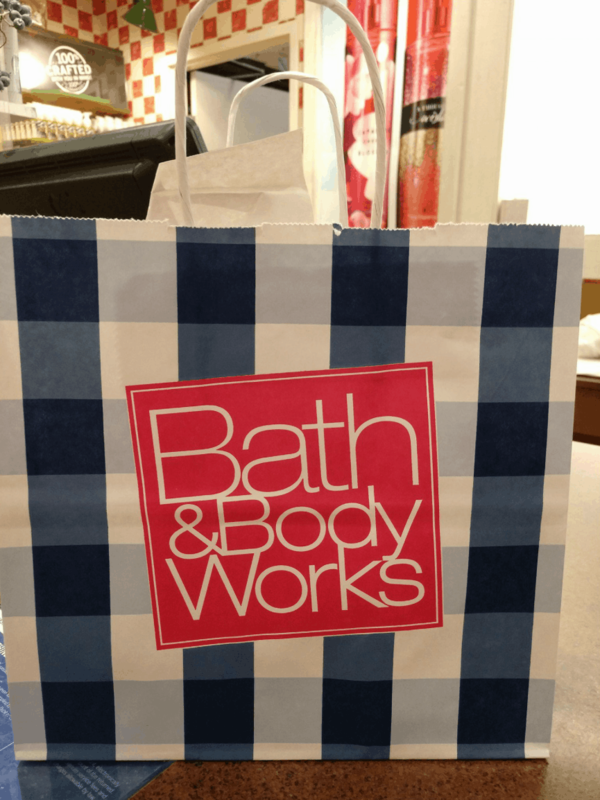 And the mother of all sales – the Bath & Body Works Semi Annual Sale – is my favorite time to shop! 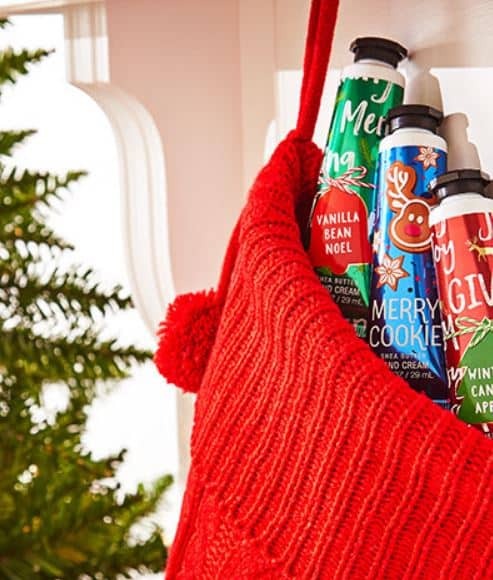 There are so many ways to save at the Bath & Body Works semi-annual sale – from taking along coupons, to knowing where in the store to find the best sales. Here are some of the best tips I've learned. 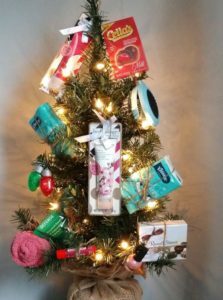 If you're a big fan of Bath & Body Works products, each year make plans to purchase the bulk of your goodies from Dec 26 through the first week of January, or in June – that's when the Semi Annual Sales always hit! You can get signature lotions, bodywash, and body sprays for up to 75% OFF regular price. If you're able, go ahead and shop for the next 6 months. Having extra candles and lotions in your gift closet is a great way to stay on top of teacher gifts, friends' birthdays, etc… while paying dollar store prices! The summer sale usually starts the first week of June, and the winter sale starts right after Christmas. And if you got a couple candles or lotions that you aren't loving – you can exchange them for other scents! Makes it $37.99, or $2.71 per soap! You can even stack some coupons! For instance a “Free Product with $10 Purchase” coupon could be used along with a “$10 off $40 purchase” coupon. 4 . Coupons Expired? Use them ANYWAY! Did you know that if your coupon expires before you shop – you can still use them? Bath & Body Works will accept them within a 3-day grace period (Call first to check at your store) What a fantastic policy! 5 . 3-Wick Candles under $5?? Guys – these quality candles burn evenly, burn long and are super scented. But they're also NOT CHEAP. Normally a Bath & Body Works 3-Wick Candle will set you back $22.50. The very least you can expect to pay for a candle at Bath & Body Works is $8 during the super rare $8 candle sale. EVEN BETTER: SOME stores get in a selection of 3-Wick Candles for 75% OFF! ($5.62 each) If you were to buy 8 of those and use a $10 off $40 coupon – you're going to end up paying $35 – just $4.37 per candle! Don't miss out on offers they send their loyal customers! This Semi-Annual Sale I've received coupons via email, but also a Free Shipping offer on Facebook that was specific just for me. You'll want to sign up for email, texts and such to get extra coupons and special treats like those “FREE Product with Any Purchase” coupons. I love those – because you can buy a travel size item (like in the pic above) or PocketBac and get a FREE Full-Size Signature product! Why buy bags & ribbons later? While you're in there getting enough lotions to gift every lady in your life for the whole year – grab some giftwrap, on the house! You can pick up the really cute cellophane baggies with ribbon and tag totally free. If you don't see them on a display, just ask your cashier. *If you shop online, the giftwrap option costs an extra $5! As always – if it isn't in your budget, try not to let a good deal lure you into overspending. Buyer's remorse is real – and I guarantee you many a Bath & Body Works Semi-Annual shopper have experienced it! Do you have any great tips for shopping the Bath & Body Works Semi-Annual Sale? Or maybe just tips for shopping Bath & Body Works period? I'd love for you to share them in the comments! 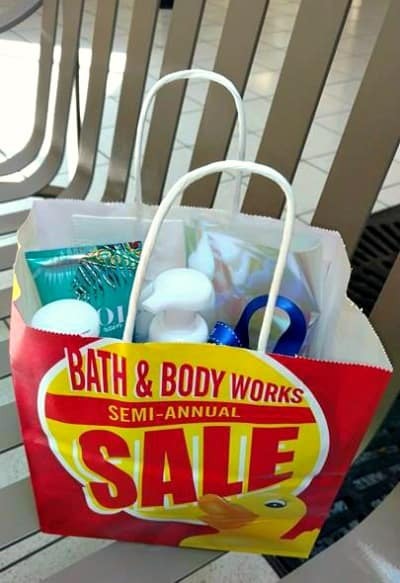 Bath & Body Works Semi Annual Sale: Lotions + Hand Soaps $3! January 1, 2019 by Laurie 3 Comments This post may contain affiliate links, which means if you click on a link and purchase something, I may earn a small commission (at no additional cost to you.) See my disclosure policy HERE. 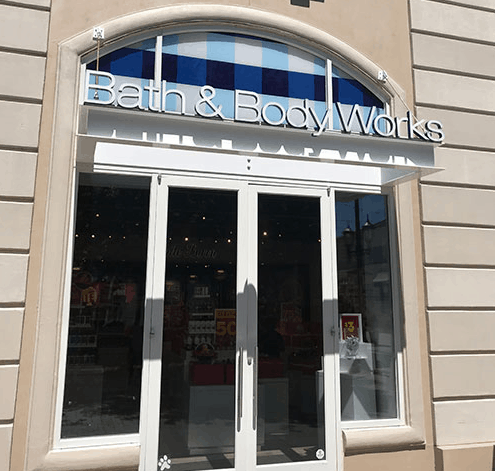 The Bath & Body Works Semi Annual Sale has started, which makes for some crazy deals for you (AND you can shop from home!) Plus, use the $10 off $40 code TNFTYJS at checkout! Looking for more ways to save at Bath & Body Works? Check out these 7 Tips to Save Big at Bath and Body Works all year long! Don't you love the Bath & Body Works winter scents? 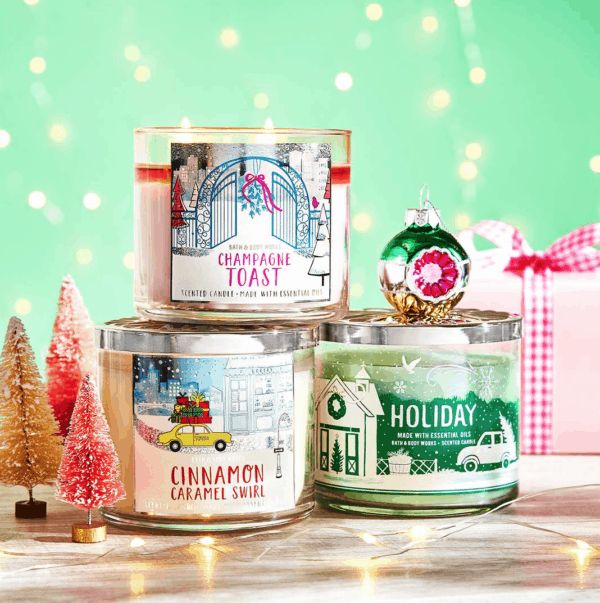 Bath & Body Works 3-Wick Candles AS LOW AS $5.95!! December 1, 2018 by Laurie Leave a Comment This post may contain affiliate links, which means if you click on a link and purchase something, I may earn a small commission (at no additional cost to you.) See my disclosure policy HERE. Don't you love the Winter candle scents??? PLUS if you have a $15 off $40 coupon tucked away, you could buy (5), pay as little as $29.75, or $5.95 per candle! (Or $6.45 per candle when you buy 4 and use a $10 off $30 coupon). HOWEVER – guys it gets SUPER INSANE there on Candle Day and I'm talking lines out the door, an hour to get through and checked out, sort of craziness. Not to mention scents sell out before you know it. If you'd like to avoid that sort of traumatic shopping experience – here's the online version of this deal! *The more you buy, the less they'll be per candle! October 27, 2018 by Laurie Leave a Comment This post may contain affiliate links, which means if you click on a link and purchase something, I may earn a small commission (at no additional cost to you.) See my disclosure policy HERE. WOW!! 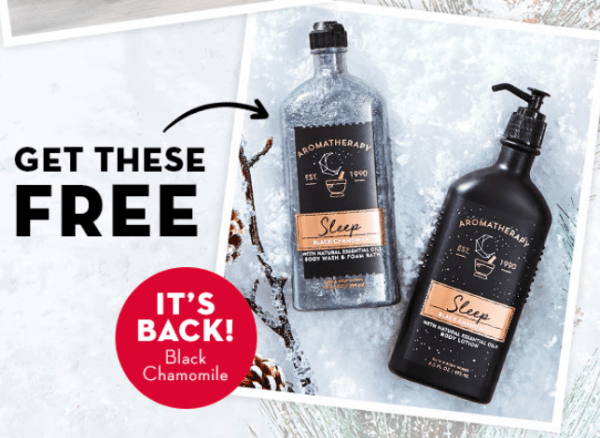 Today only at Bath & Body Works online you can score a FREE Black Chamomile Gift Set ($27 value) with any purchase with code SWEETDREAM. Makes it $42.10 Shipped for all of the above! That's 2 giftable candles and 5 yummy soaps and a gifty body wash and lotion set!